The artist Man Ray is best known as an experimental photographer but figures in garden history for his documentation, both still and film, of the innovative landscapes commissioned by Charles Vicomte de Noailles and his wife Marie-Laure. At the center of a group of avant-garde writers, poets, and painters, they commissioned two high art deco gardens, both intense and jewel-like. 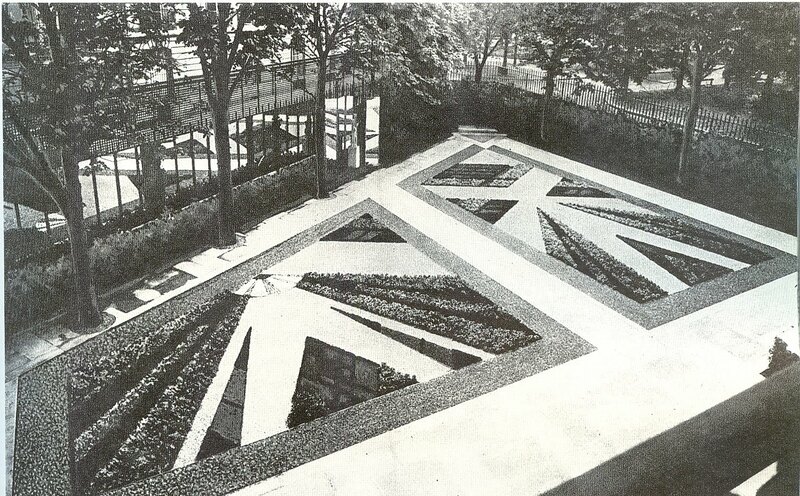 At Hotel Noialles in Paris, modern parterres by the brothers Andre and Paul Vera featured colorful gravels and low bedding plants bursting out of a mirrored wall in lines closely following optical ray diagrams. The Vera's drawings for the gardens exist, but Man Ray's photo (above) is the only documentation of their installed form, which differs from the original plan. 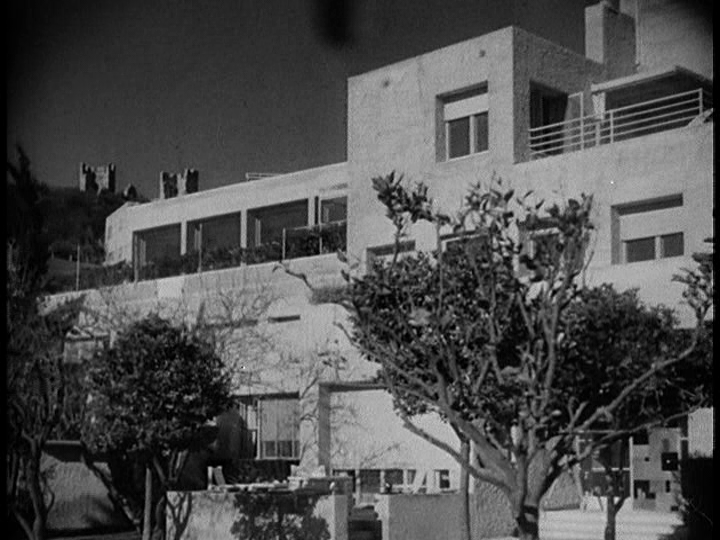 On the hills above Hyeres, their Riviera retreat, architect Robert Mallet-Stevens built Charles and Marie-Laure a cubist villa that must have shocked the traditional neighborhood surroundings, which can be seen during the approach to the house in a surrealistic short film shot by Man Ray in 1929. Narcissistic though it is (Charles and Marie-Laure are of course the stars), it provides a fascinating glimpse into the time in which the landscape was constructed, as well as into the gardens themselves as simply one more art object in a house of many, and far more valuable, others. 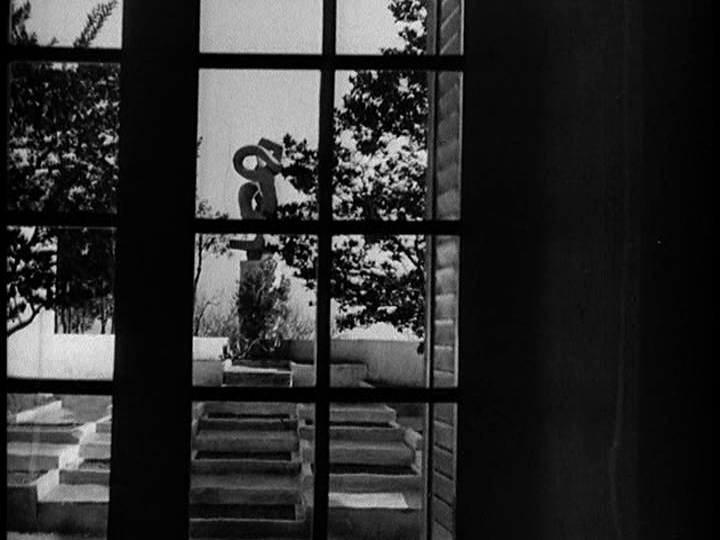 The Countess' collecting inspired that of Yves St. Laurent, and one of the shots in the film shows a long series of sliding mesh doors in a hallway...these stored her artwork, which presumably was changed regularly throughout the house. 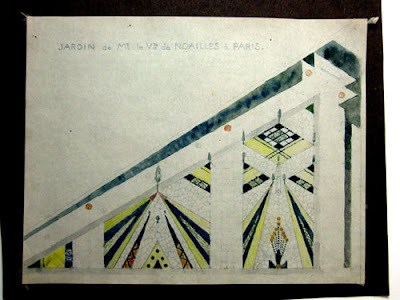 ...and the stepped ziggurat garden designed by Gabriel Guevrekian glimpsed through windows from the house. Guevrekian's garden was a variation on the one he had designed for the '25 expo, and the Jacques Lipchitz sculpture at the triangular site's apex rotated as had the silver sphere in his earlier jardin d'eau et de lumière. The garden in Paris is gone, but the Villa Noialles is now an arts center and open to the public. The garden has been recreated, though without the yellow tulips with which it was originally (inappropriately!) planted. It also had orange trees next the house, and the terraces seem too arid in their absence. 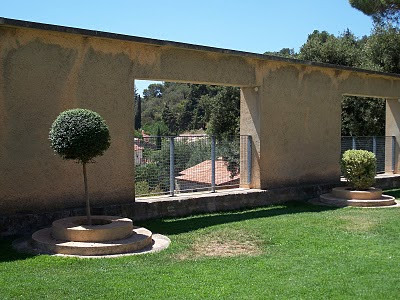 Thanks to a travel grant from Robert Adam Architects, I visited the site in '07 as part of my study of art deco gardens. 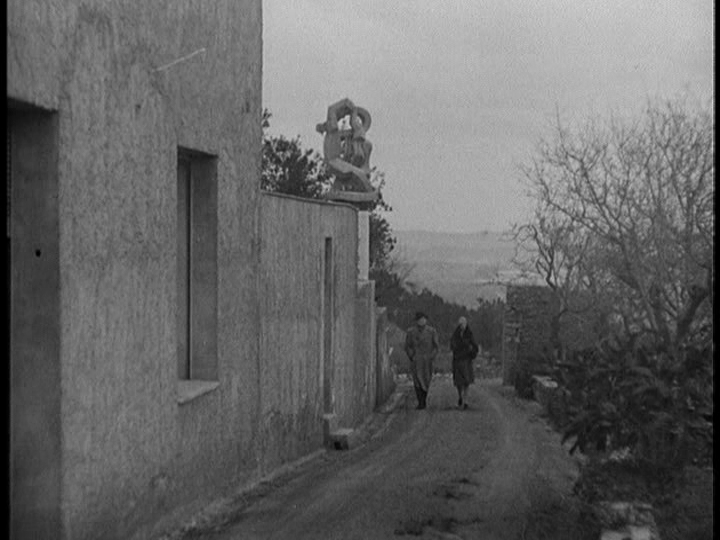 Who will climb up these terraces, indeed. 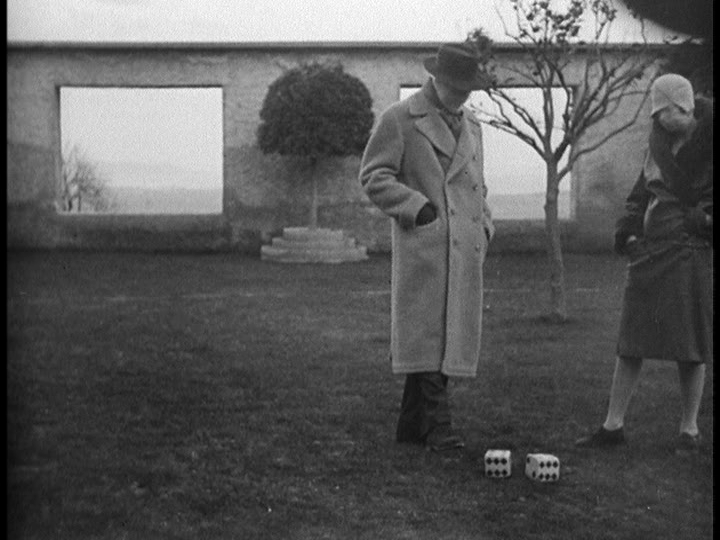 Man Ray's Les Mystères du Château de Dé was, at 27 minutes, his longest film. You can watch it on vimeo. What a fascinating post - never even thought about the link before. 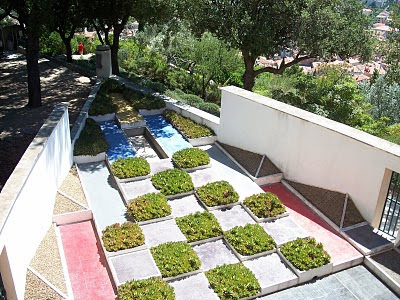 I share the Guevrekian garden with students every semester, and it never fails to elicit dumbfoundedness. It is still avant-garde.